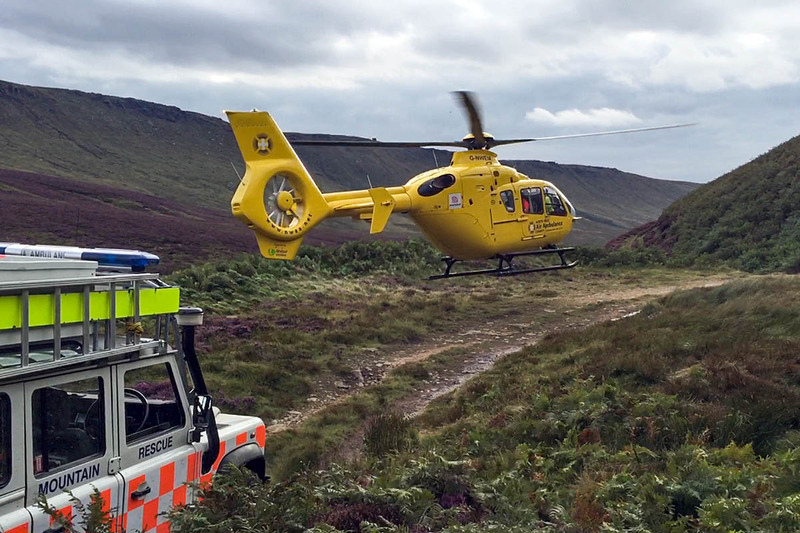 A walker was airlifted from the slopes of the Peak District’s highest hill after he became ill. The elderly man was walking with Marple ramblers’ club on Thursday evening when he fell ill on the Ashop path near the northern edge of Kinder Scout. Glossop Mountain Rescue Team was called out when members of the group became concerned for their fellow walker. Peter Jozefczyk of the Glossop team said: “When the team arrived at the scene the elderly male was being treated by the doctor of Helimed 72 [from the North West Air Ambulance] who had just arrived. The Glossop team stood down about 5.45pm.